Badly burned my middle, ring, and little finger in a kitchen accident with scalding steam. This photo was taken less than 9 hours after the accident following LOTS of essential oils applications to prevent tissue damage, inflammation, blistering, infection, and scarring. Saturday started with a kitchen accident. As I was pouring boiling water, prepping my morning mug of hearty Irish tea, the teapot lid fell off. A cloud of scalding, concentrated steam enveloped three fingers of my right hand. Instant, intense PAIN! Burned badly, I dropped the pot on the stovetop, turning towards the sink to run cold water over my fingers. With a burn, it’s CRITICAL to cool the skin and deeper layers as quickly as possible. The longer the tissues are over heated the more damage occurs. Standing at the sink I gathered my wits, planned first aid strategy considering which essential oils to use. Decided to fill a bowl with cold water for soaking my hand to hydrate the skin and cool my traumatized fingers. Once the pain was numbed, I very gently patted the delicate burned skin dry and went to get my go-to ‘burn’ rescue remedy*: HELICHRYSUM & LAVENDER essential oils. 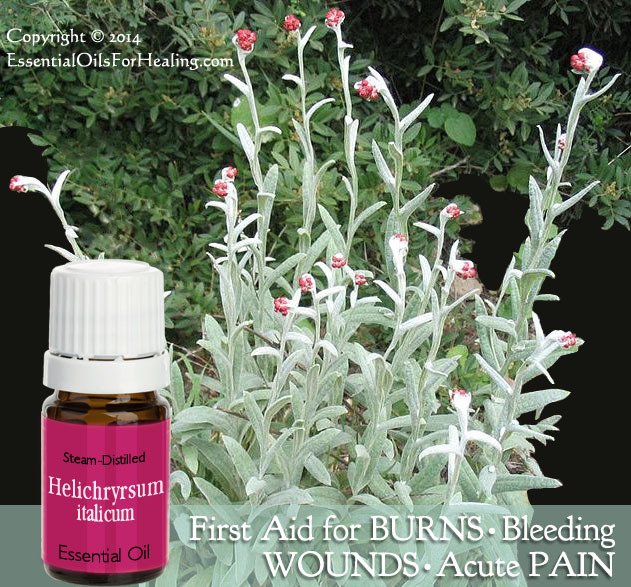 Helichrysum essential oil is expensive, but worth every drop as a healing First Aid Oils treasure! I used the Helichrysum generously ~ 5 or 6 drops on my fingers. Three times as much as I might put on a scratch or cut. The burned skin was stinging and VERY uncomfortable…OUCH!! Got an ice pack from our refrigerator, wrapped a dish towel to protect the fragile injured skin from direct contact with the cold surface, and sat awhile cooling my fingers, minimizing the pain. After the pain lessened, I applied 1-2 drops of LAVENDER essential oil to keep the pain at bay, aid lymph drainage, support skin repair (cell renewal), prevent scarring, and to keep my emotions calm. Because burn injuries dehydrate the skin, I gently rubbed virgin coconut oil over my hands and fingers. Repeated these applications, once or twice, later in the day between gardening and helping with some house repairs. (Yes, even with the injured fingers and wearing work gloves!) Before bed, applied some Australian essential oils: KUNZEA & FRAGONIA which had been excellent for healing an itchy mosquito bite recently…figuring the combo would make the burn more comfortable, too. 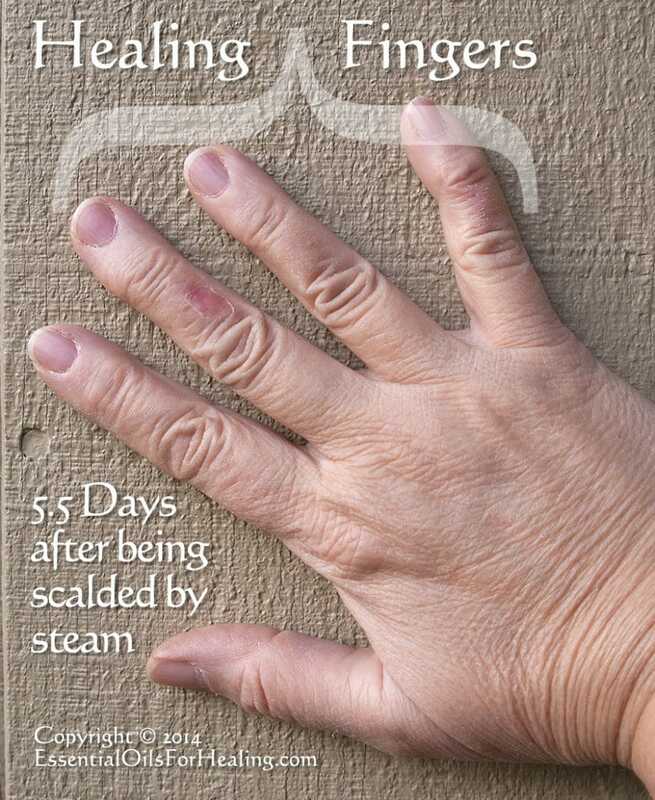 34 hours later: Rapidly healing, steam burned fingers after using pure distilled essential oils to minimize tissue damage. NO pain (even when I pressed the burns directly). NO swelling, blistering, or weeping. REALLY! Never used any pain meds or antibiotic creams either. 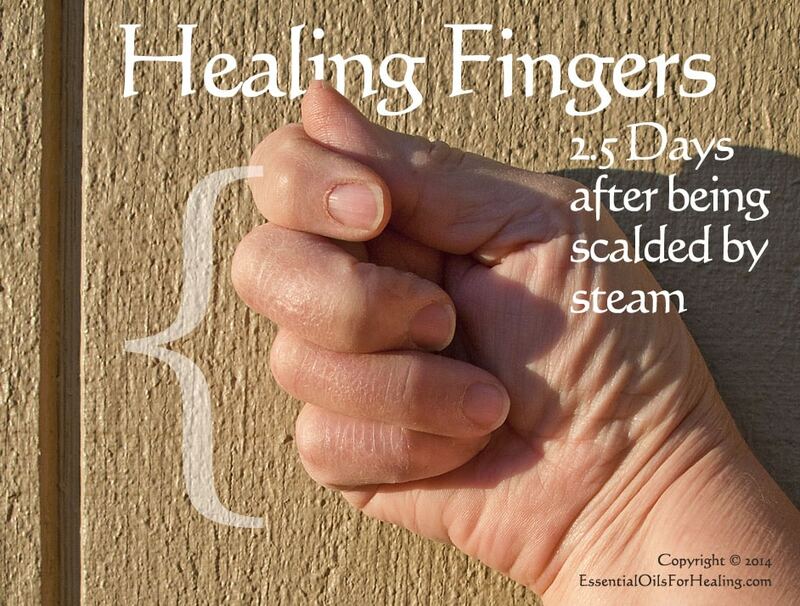 Only 2.5 days after a scalding steam burn, the skin Inflammation and most sensitivity has completely diminished with twice-a-day essential oil applications of 3-4 drops. If you keep a good collection of essential oils on hand, know which essential oils to apply, and how to use them, these healing essences’ effects verge on miraculous…compared to conventional burn creams and salves. Suppose some readers will assume the burns weren’t really bad, since my fingers don’t look very injured in the photographs? 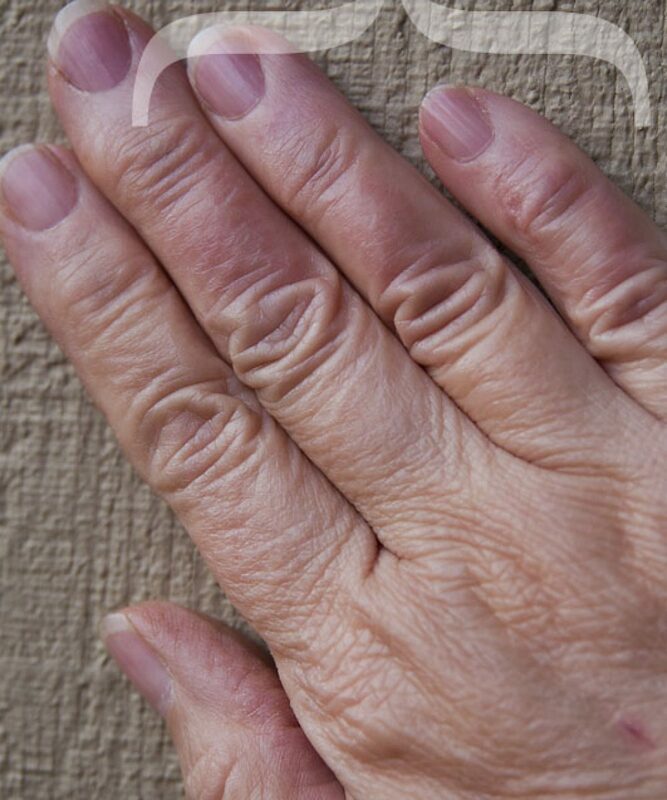 If I had been willing to suffer , I could have left one finger untreated for comparison, so readers new to using essential oils would understand better what a true healing resource essential oils are…but with strong self-preservation instincts I prefer NOT to suffer! Yes, the skin IS damaged, subtly drier, and stiffer than the healthy tissue and will peel in about a week, but I’m not in ANY discomfort. Thank-YOU Mama Nature! 5.5 days later, accidentally rubbed burn damaged skin off my middle finger when drying with a towel. Even though the new skin was pinker and more sensitive, there’s still not any real pain and absolutely no hint of infection! Late afternoon of the 5th day after my burn accident, I carelessly rubbed the fragile damaged skin off my middle finger while drying my hands on a towel. I was expecting the injured skin to peel within a week or so, but this was a bit earlier than I had hoped for. The new skin was pinker as expected. And slightly tender, but not the least infected or weeping. I’ve continued to apply the KUNZEA & FRAGONIA essential oils combo, twice a day (morning and evening), followed up with organic Jojoba oil to moisturize the skin. The healing is continuing at a steady pace. My goal now is to minimize or avoid any permanent scarring. I’m confident it’s possible. NOTE: *These anecdotal experiences and statements have not been evaluated by the Food and Drug Administration (FDA). These products are not intended to diagnose, treat, cure or prevent any disease. I grabbed a scalding hot pan with my bare hand from a 450 degree oven. 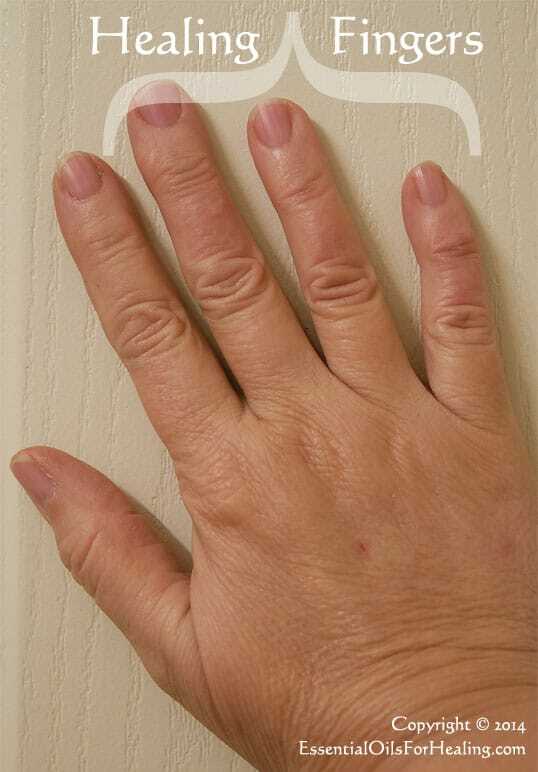 (don’t ask) My hand immediately swelled up like a balloon, I could not bend my fingers. I put an icepack on my hand for a good half hour and soaked my hand with lavender almost continuously all night before bed. Going to bed my hand had to be help up because the pulse in it was so bad. (I did consider going to the hospital) When I awoke the next morning I did not have one blister, the swelling was gone and I could use my hand normally. The skin on my hand never did peel off either. This was 3 weeks ago and you would not know my hand was burnt at all by looking at it. Laura ~ What a FANTASTIC testimonial! So glad to hear you were quick thinking with basic first aid solutions and used your Lavender essential oil generously to help your hand heal from the burn trauma. What misery and injury others could be spared if they knew what we know about essential oils. Thanks so much for sharing your story! !